This is a revised and updated edition of the best-selling authorized biography, incorporating additional material and new pictures. Now in the sixth decade of his career, Cliff has sold more singles in Britain than any other artist and his durability as an entertainer is unparalleled. Steve Turner's book is a triumph. No other writer has investigated Cliff's life in such depth and detail and with such objectivity. What emerges from the research is a refreshingly new picture of one of the world's most popular musical artists. "Although this is an authorized biography, all the innuendoes are confronted head on. There are a lot of fine anecdotes. Turner's sympathetic, sagacious and highly enjoyable book tells you everything you ever wanted to know about Cliff." - Tony Parson, The Sunday Telegraph. 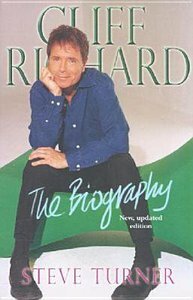 About "Cliff Richard: The Biography (2005)"
Based on research from original sources and interviews with friends, family, and colleagues-- many of whom have not spoken publicly before-- this book gives the story of Cliff Richard's life as a rock-and-roller and a Christian, and includes photographs never before published.